Madame Yang’s career spans more than 30 years. Before she left for Canada, she was the deputy chairperson of a National Dance Association in China. Madame Yang is herself a member of a Chinese minority, a native of the Bai minority of southwest China. Madame Yang is renowned in China for her choreography and she has won numerous top national awards. Hundreds of professional dancers in China were trained under her; a number of her repertoires won the national top choreography awards and have been included in the official dance school instruction materials. Recently in 1994, Madame Yang was awarded the prestigious 20th Century Chinese Fold Dance Gold Trophy Award for her choreographed Tai Minority dance titled “Fetching Water”. This dance is renowned in China for its excellent choreography and expression. Madame Yang is also famous for designing all the performance costumes, all classic and stylish while they all represent the beauty and specialty of each Chinese minority. 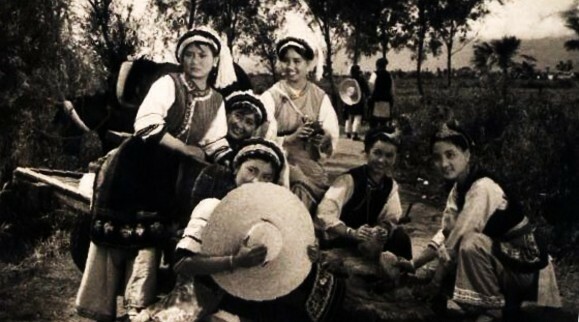 楊小花女士, 白族, 加拿大楊小花民族舞蹈學院院長, 藝術總監, 有著人生半個世紀的舞蹈經驗歷程, 是資深的國際知名舞蹈編導,中華當代杰出功勋藝術家，加拿大杰出女性，中華二十世紀舞蹈經典金像獎榮獲者, 對民族舞蹈及服飾有很深的研究, 中國第二屆藝術節北京開幕式上她總導演的大型中華民族服飾穿戴藝術表演 “東方彩霞” 首創成功, 開引了民俗表演藝術先河. 她的專業舞蹈理論文章已載入中國少數民族民間舞蹈選介. 代表作品: <水>, <雨絲>, <白孔雀之舞>, <夢>,<歡樂的銀鈴>, <紅魚舞>, <飛吧, 小孔雀>等……已經風靡於東西方世界舞壇.